I wanted to share a card I made for the I spy sketch challenge number 39. 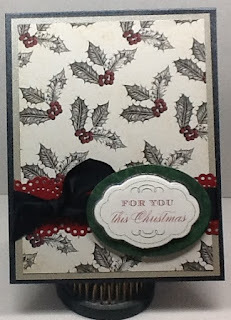 I used Teresa Collins Noel collection along with Anna Griffith 3D stickers from HSN. 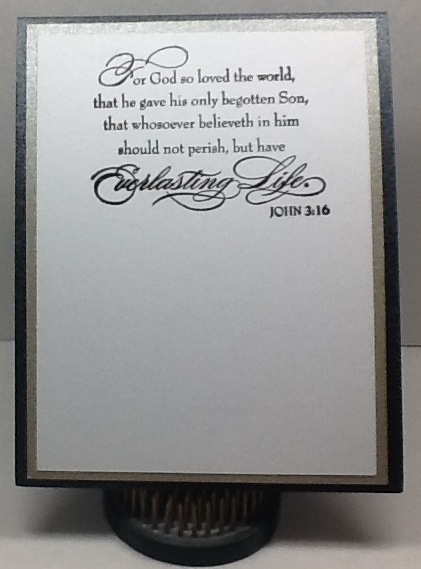 The inside scripture comes from Close To My Heart Everlasting Life Holidays stamp set. 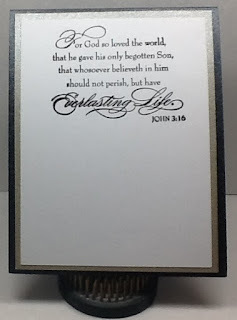 You can find the sketch over at Ispysketches.blogspot.com. Love the holly and berries! Wonderful! Thanks for playing at I Spy!! !